Gene types that influence disease in people today were picked up through interbreeding with Neanderthals, a major study in Nature journal suggests. They passed on variants involved in type 2 diabetes, Crohn’s disease and – curiously – smoking addiction. While it was previously unclear what this Neanderthal DNA did and whether there were any implications for human health. By screening the genomes of 1,004 modern humans, Sriram Sankararaman and his colleagues identified genome regions bearing the Neanderthal versions of different genes. Researchers found that Neanderthal DNA is not distributed uniformly across the human genome, but instead is commonly found in areas of the genome that affect skin and hair. This suggests that some gene variants provided a rapid way for modern humans to adapt to the new cooler environments they encountered as they moved into Eurasia. When the populations met, Neanderthals had already been adapting to these conditions for several hundred thousand years. “We found evidence that Neanderthal skin genes made Europeans and East Asians more evolutionarily fit,” said Benjamin Vernot, from the University of Washington, co-author of a separate study in Science journal. This may have helped provide the newcomers with thicker insulation against cold conditions, the scientists suggest. But other gene variants influenced human illnesses, such as type 2 diabetes, long-term depression, lupus, billiary cirrhosis – an autoimmune disease of the liver – and Crohn’s disease. 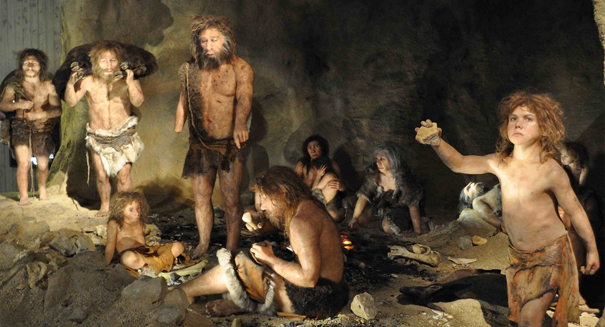 In the case of Crohn’s, Neanderthals passed on different markers that increase and decrease the risk of disease. Asked whether our ancient relatives actually suffered from these diseases too, or whether the mutations in question only affected the risk of illness when transplanted to a modern human genetic background, Mr Sankararaman said: “We don’t have the fine knowledge of the genetics of Neanderthals to answer this,” but added that further study may shed light on the question.